When it comes to managing its clients property assets, Eden Property Management will consistently strive to provide the most dependable and professional-quality service possible. 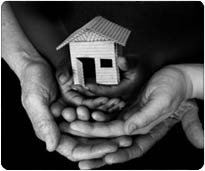 Most importantly, we will always act in accordance with our clients stated needs and expectations. We have also obligated ourselves to the patent ideal of always being fully transparent and fair in all our dealings wherever and whenever our clients are concerned. Additionally, we will do our utmost to maintain our total commitment to our clients and continue the many long-standing partnerships we have enjoyed, some in place since our very first years of operations.